Celebrity mum and actress, Kym Marsh, and soap star, I’m a Celebrity…Get Me Out of Here! 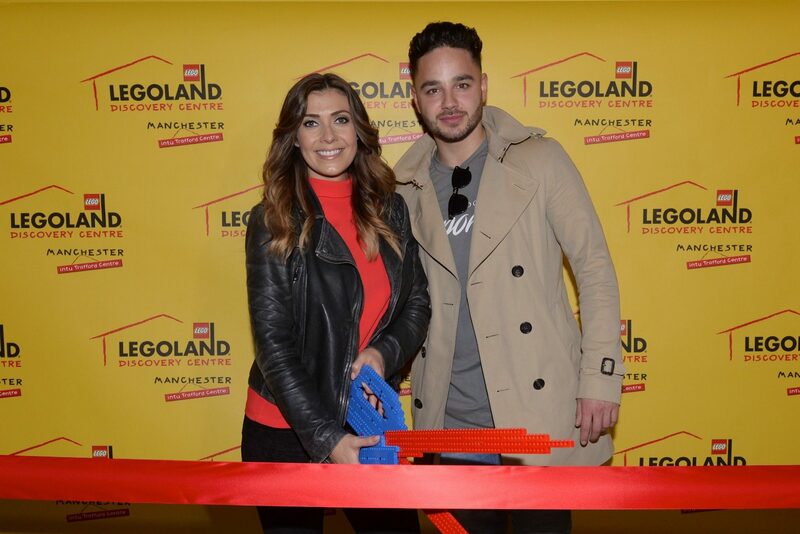 contestant and celebrity dad Adam Thomas cut the ribbon at the all-new LEGOLAND® Discovery Centre Manchester, the ultimate indoor LEGO® playground, to officially open its brand new LEGO® Ninjago™ City Adventure play feature. 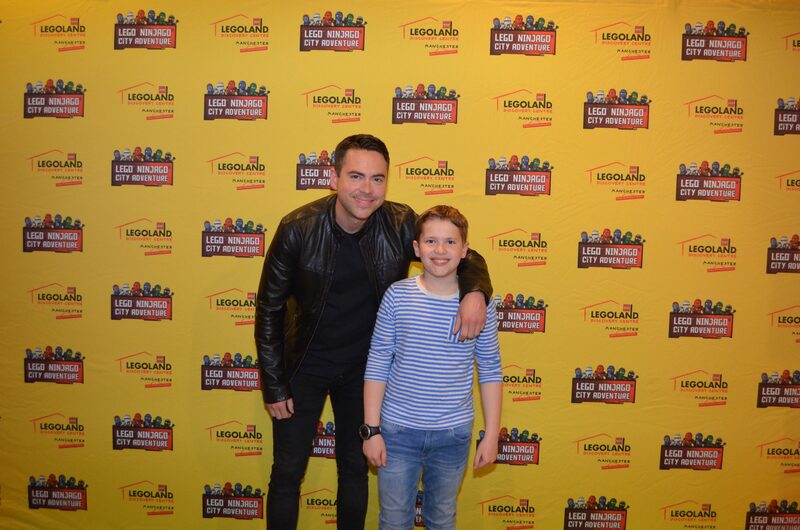 On Thursday 30th March 2017, guests attended a star studded VIP launch for the official opening of the all-new LEGOLAND® Discovery Centre Manchester, at intu Trafford Centre. 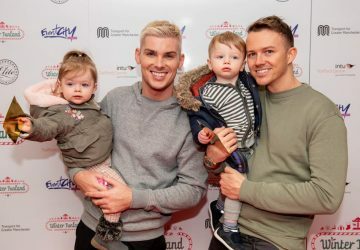 Celebrity stars made their way down the red carpet with their families in tow, including soap stars Catherine Tyldesley, Bruno Langley, Lysette Anthony and Simone Holmes. 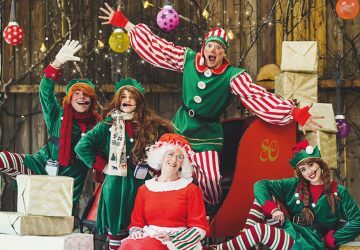 Actor Garth Maunders and actress Alison Burrows were also in attendance with presenters Mark Radcliffe, Chris Hawkins and Clare Nasir. 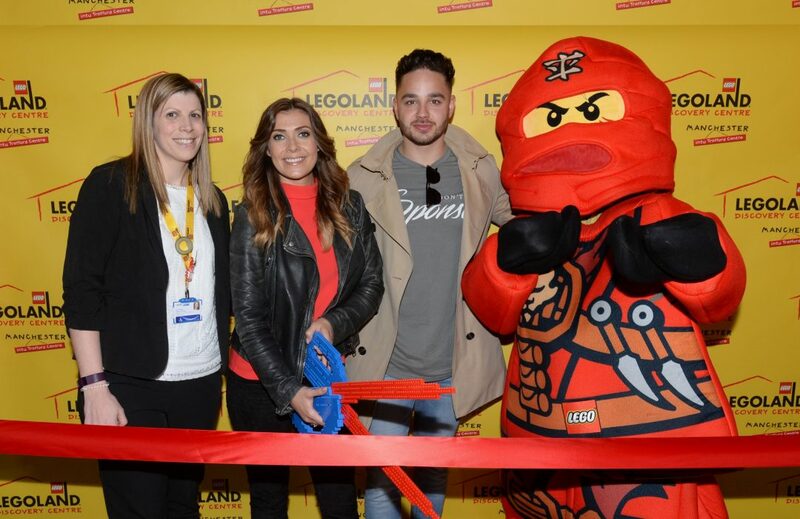 Kym Marsh and Adam Thomas added to the excitement of the event, by cutting the ribbon inside the UK’s only LEGOLAND® Discovery Centre, officially declaring its LEGO® Ninjago™ City Adventure play feature, a UK exclusive, open, which saw hundreds of excited children (and mums and dads!) run through the ninja portal in to a world of LEGO® Ninjago™. The new-look LEGOLAND® Discovery Centre has received a £1million investment, and includes a brand new LEGO® Ninjago™ City Adventure play feature, new modern café with floor-to-ceiling windows, a new bigger and better Creative Workshop, where LEGO® fans can watch the LEGOLAND® Discovery Centre Master Model Builder at work, a newly located LEGO® Racers Build & Test Zone and new Birthday Party rooms with three brand new Birthday Party experiences. The new play feature immerses visitors into a world of Ninjago™; putting their Ninja skills to the test as they embark on a journey through the LEGO® Ninjago™ City Adventure, as they fight to save the city! Before entering the three-tiered temple, children can practice their Ninja moves in the training camp, from interactive play to imaginative play, the Dojo Training Camp teaches all there is to know on becoming a Spinjitzu Master; play features include a dual-sided Batak Game so friends and family can battle it out and become top of the leader board! The Ninja Temple tests LEGO® fans’ time and reaction skills before they venture through physical courses and test their own agility – play features include a Tiger widow island escape trainer climbing wall, LEGO® Ninjago™ character challenges from Kai, Jay, Cole, Lloyd, Zane and Nya, crisscross maze and vertical rope climb, a spiral slide of lights, crawl through tunnel, ballpool, sky wheels, bash bags, lightening buzzer bars, Spinjitzu tornado and much more! LEGO® Ninjago™ City Adventure also features an interactive play table, where young Ninjas can add to the brick built structure of the City and create their own buildings and temples for the Ninjas to train. Plus, there will be another large-scale LEGO® Ninjago™ build addition, which will be revealed very soon! The new Creative Workshop features a bigger and brighter space for little builders to spend time with LEGOLAND® Discovery Centre Master Model Builder, Alex Bidolak. 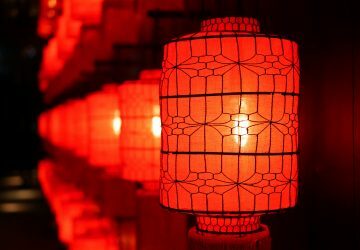 Here, guests have the chance to learn from the Master himself, with hands-on tuition and insider tips on how to create their very own incredible models. There are thousands of bricks waiting for you in the new look LEGOLAND® Discovery Centre’s Build & Test Zone. What shapes and vehicles will your imagination create next? Time your racing car on the speed test track; the stopwatch is exact to the hundredths of a second, so even the smallest change could make all the difference! Ready, set, go! And the perfect new addition for parents is the new-look, modern café; Coffee Shop – an ideal retreat for those that want to take some time out while the children play. Coffee Shop features an internal and external seating area within the attraction, comfy sofas and relaxed seating inside and a larger dining area that’s positioned alongside floor-to-ceiling windows. Menus are featured on digital screens and LEGO® artwork is displayed throughout. Visitors can enjoy fresh coffee, juices, frappes, sandwiches, wraps, cake and kid’s lunch boxes. The all new LEGOLAND® Discovery Centre is even bigger and better than before, with even more fun to be had for all the family; its three LEGO® Rides (Kingdom Quest, Merlin’s Apprentice and LEGO® City: Forrest Pursuit) MINILAND®, City Builder, LEGO® Studios – 4D Cinema, DUPLO® Farm, Factory Tour and The LEGO® Shop all still remain.